You'll need to breathe deep to absorb all the gluten-free product news from this week. The biggest is word from General Mills that five varieties of Cheerios will be labeled "gluten free" come July: Original, Honey Nut, Multi-Grain, Apple Cinnamon and Frosted. The company says it has developed a way – years in the making – to sort out the small amount of wheat, rye and barley in its supply of whole oats that are inadvertently introduced at the farms where the oats were grown, or during transportation of the whole oats to the mill. This ensures that the oats used for Cheerios allow us to meet the FDA’s guidelines for gluten-free products, according to General Mills. As for the Multi-Grain variety, current wheat and barley ingredients will be replaced with sorghum and millet. The front of the cereal boxes will note the products' gluten-free status. 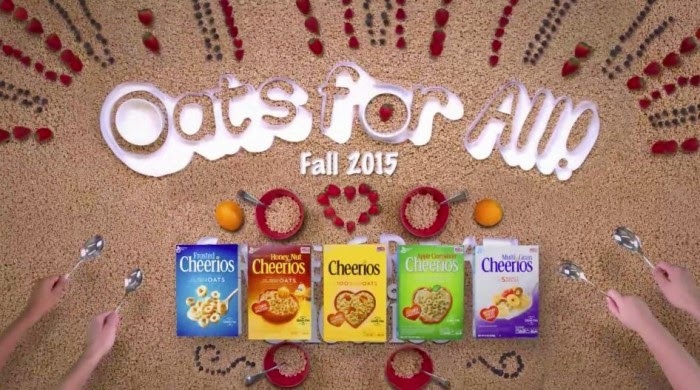 Gluten-Free Living's blog has more information on the oats General Mills will be using for these cereals. 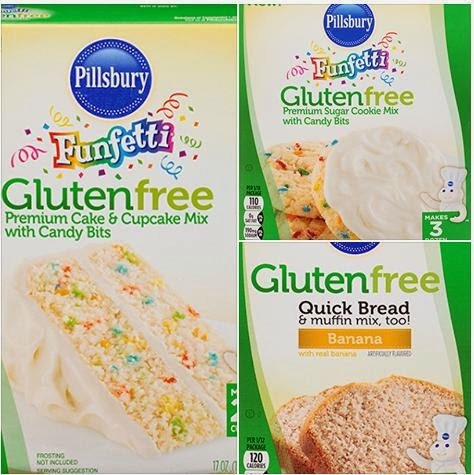 Meanwhile, General Mills' Pillsbury brand has introduced new gluten-free products of its own. Joining its all-purpose flour are Funfetti cake and cookie mixes and banana quick bread and muffin mix. American Flatbread Pizza is introducing two new gluten-free pizzas: Cheese Trio & Tomato Sauce and Pesto & Cheese. The Cheese Trio & Tomato Sauce is a handmade flatbread topped with mozzarella, parmesan and Vermont Cookeville grana cheese, with homemade tomato sauce and fresh herbs. Pesto & Cheese is topped with pesto, made with fresh basil, toasted pine nuts, extra virgin olive oil, fresh minced garlic and parmesan. The pizzas retail for $8.99. 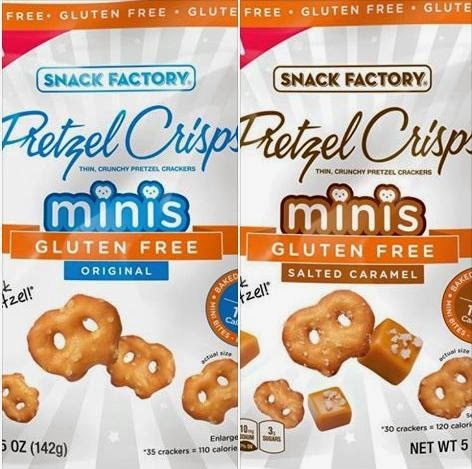 New Jersey-based Snack Factory has two new gluten-free Pretzel Crisps available at Safeway and Fairway markets, with national availability in late spring. The Original Minis and Salted Caramel Minis are certified gluten free. While we wait for Schar's croissants to debut next month, the company has a couple other options now available. Sch'nacks are individually wrapped snack cakes with a light cream filling and chocolate coating, and there's also a marble cake blending vanilla and cocoa flavors. Opening today in South Philadelphia is P'unk Burger (1823 E. Passyunk Ave., 215-468-7865), serving up burgers on gluten-free buns and fries from a dedicated fryer. The newest area Not Your Average Joe's is slated to open on Mon., Feb. 23 in Ardmore (49 St. James Place, 484-708-1500). I'll have more info on NYAJ and its gluten-free menu coming soon. 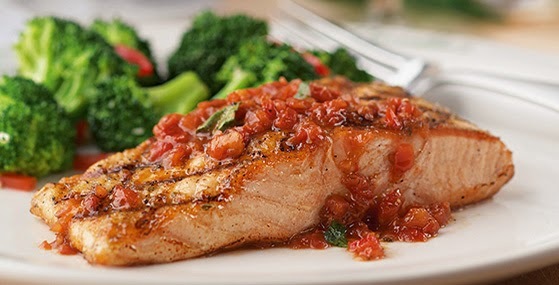 As part of its gluten-free menu expansion, Italian restaurant chain Carrabba's has changed the recipe for the baste used to enhance wood-burning grilled entrees, which before was off-limits. Philly.com reports that Delicias has closed its storefront on South 4th St. in Philly's Queen Village section, but will still be offering gluten-free arepas from its food truck. Be sure to follow Gluten Free Philly on Facebook, Twitter and Instagram for up-to-the-minute news and information.